The Office of the National Coordinator for Health IT shared the results of a new study that sheds new insight on a number of EHR uses from 2015 through 2017. Hospitals are continuing to surge in their adoption and use of EHRs, partially pushed by the 21st Century Cures Act. The records enable healthcare providers to more easily record and access information about a patient and, as the number of hospitals who make this data interoperable rises, providers can share the data with outside organizations as well. The fluidity and mobility of patient data speeds up and improves patient care and when it becomes portable it allows for a more seamless patient experience. By 2017, 94 percent of hospitals were using electronic health record data. The study used data from the American Hospital Association which found that across the three-year period almost every measure of EHR use rose throughout hospitals. As EHR use became more entrenched, hospitals have increasingly relied on the software for new approaches to improve care. “EHR data is most commonly used by hospitals to support quality improvement (82 percent), monitor patient safety (81 percent) and measure organization performance (77 percent),” according to an ONC brief. Other common uses include: identifying high-risk patients, creating individual provider profiles, measuring unit performance, informing strategic planning, identifying care gaps for patients, assessing adherence to guidelines, and developing an approach to query for data. Exactly how EHRs are used depends on the vendor installed, ONC said, with Epic (96 percent), Cerner (89 percent) and Meditech (88 percent) leading for the quality improvement use case. When it comes to patient safety, most hospitals used CPSI (69 percent), McKesson (74 percent), and MedHost (66 percent). Not just a federally-mandated technology adoption, EHRs are helping hospitals streamline their care and stay competitive. Packaging health data in an easy to read and centralized format enables practitioners to ascertain a patient’s background and devote a greater amount of the interaction to addressing their needs. Even large tech companies that haven’t traditionally been in the healthcare space are jumping in, integrating their sensor data and operating systems with health organizations. 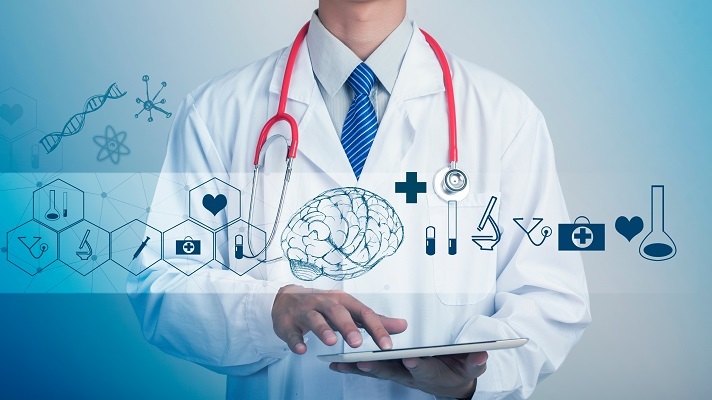 EHR presence continues to become more mainstream and integrated- although issues like interoperability and usability are still hampering some adoption and broader uses.